Reading habit start from young. With research showing that the best ways to develop bilingualism being through early exposure, many parents are starting to realize that such learning should not be simply confined to a pre-school setting. With children spending most of their pre-school time at home, engaging learning aids are essential in supporting your child’s holistic language development needs. 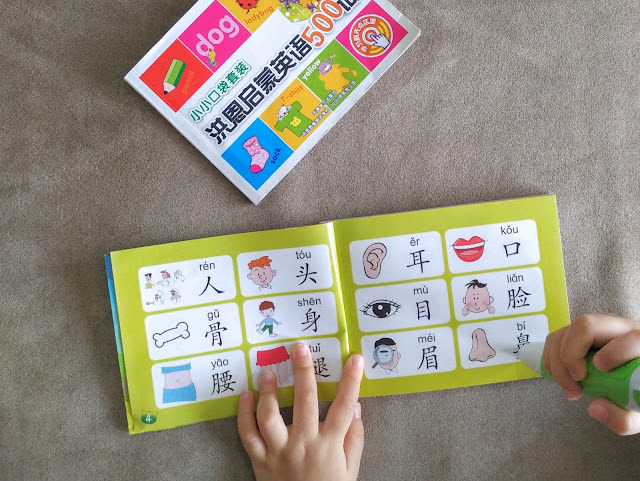 Designed to be concise, attention-grabbing and interactive, children are expected to not only develop language competency in both English and Chinese after going through our Holistic Bilingual Program, but also a strong desire for learning. As a non-Chinese reader myself, I never knew which Chinese book to get for my children. I’m certainly not capable of reading it to them either. I’m also eager to expose them to the language at an early age. It would be a little too late to leave it to pre-school. Languages are after all, easier for children to learn. The younger they are, the better. Which is why I’m quite excited to share my review of the Early Bilingual Program by Learning Tech with you today. It is engaging, fun and very comprehensive for children from the age of 2 to 6. Because it has both English and Chinese translation on the same page, I find myself learning alongside Lauren and Georgia. And oh, I don’t have to buy other chinese books anymore, at least not for the next 3 years. As you can see, the whole program contains many things. Here is my review of each component of the Early Bilingual Program. All 28 books in the program are audio enabled, making the stories come alive for small children. The books are beautifully illustrated. Lauren calls each book by the colour of the cover. Her favourite is the Mini Teddy Book 8 with the blue cover. Each book contains 2 short and very simple stories, and a sing-a-long song/rhyme at the end of each story. For example, the first story of Mini Teddy Book 8 tells the story of Puppy who goes into the woods with his cart one day and finds Kitty’s comb, Teddy’s life ring and Nicky the Mouse’s roly-poly. He puts them into his cart and returns the items to each of his friends. His friends are very grateful and thank Puppy. The story is told in English and Chinese through the reader. You can point the reader onto the page number to have the story read in English or point it on each sentences to repeat the lines in either Chinese on English. You can also point to the objects mentioned in the story (in this case, the cart and the life ring) and the reader names the object too. The reader makes such an excellent independent reading tool. I didn’t have to sit with the kids and they can have the whole book read out to them by the reader. The books teaches basic phonics. Children are exposed to 48 different conversation topics and 64 English rhymes.I like to sneak in a little read with Lauren and Georgia just before their daily Hi-5 show on television. These 2 books are probably the most used books out of the whole program. You can see after just 1 month, the corners are already all tattered because I bring them everywhere we go. I like that both books are small enough to fit into my handbag.We read them during car rides, flights and while we wait for the food in the restaurant. I’m at a risk of sounding like a tiger mum here but the reader makes it fun for Lauren to learn the objects names in Chinese and English. 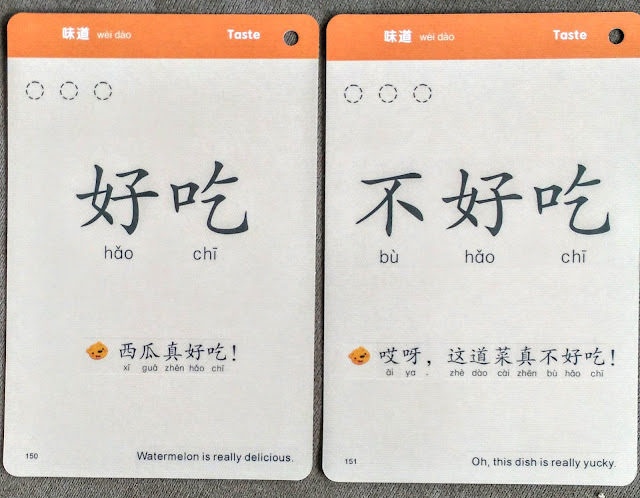 You will find 500 English vocabulary and Chinese characters in one book and the other one focuses primarily in Chinese characters and Han Yu Pin Yin. Each word is clearly illustrated. 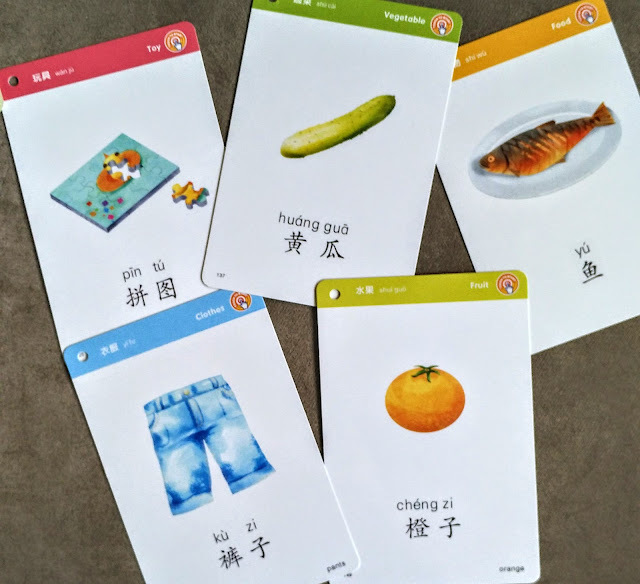 After going through the Chinese mini book, you can then test your child with the flash cards set. Your child can learn 300 English vocabulary and Chinese characters with these cards. 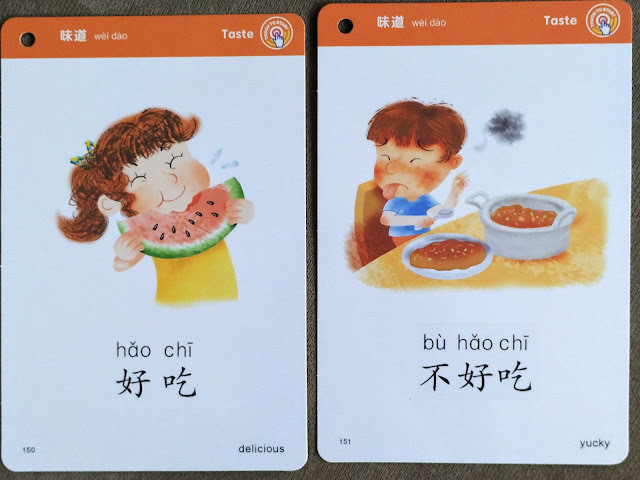 It has illustrations with Chinese and English words on one side; Chinese characters, hanyu pinyin, and a Chinese sentence using those word(s) on the other side. You can flip it over. Show your child the Chinese characters only (no pictures) and see if they are able to recognise them. English transalation is available in small print at the lower right corner for parents to refer to. Through these flash cards, a child can learn 25 different themes ranging from clothings to family members to antonyms. 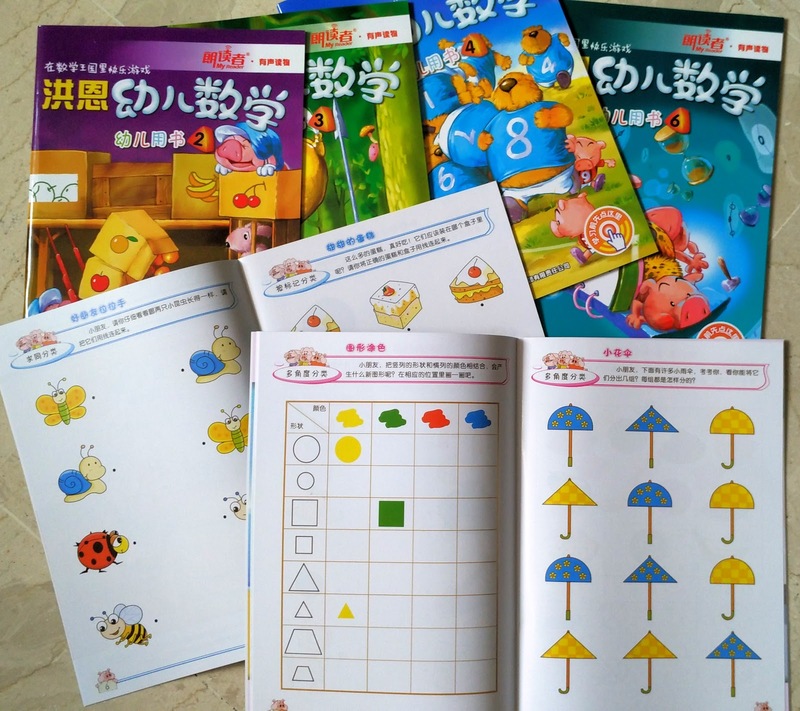 We also receive a set of 5 activities books in Chinese. It is suitable for kids aged 3 to 8 years old. I’ve only started Lauren on the first book. Some of the activities are quite simple, while some required some logical and sequence thinking. I haven’t gotten her started on the harder ones yet. Once she can understand more complex instructions, I can’t wait to see how she tackles those questions. All the stories told in the Mini Teddy and Hello Teddy story books are available in animation, so the children can see the stories come alive too. All the rhymes and songs from the books are also available in audio CDs. There are also stories from the various titles. Great for car rides. We also received a Chinese dinosaur encyclopedia, CD and toys with the program. I haven’t started on the book yet because everything is in Chinese. My girls haven’t shown any interest in dinosaurs either. But if you have boys who love dinosaurs, I’m sure they’ll be excited with this. I like the cool toy that transforms from an egg into a dinosaur. One interesting feature of the program is Eltee Pen, which is an audio learning device. By tapping the icons, it would “speak” or “sing”! The children were amazed by it! There are 3 components: Awareness – Time to Learn, Ability – A Time for Math, Attitude – Lifetime Values. This is a set of encyclopedia with 3 sections, Living World, Explore, as well as Science & Technology. A question is used as a stimulus to trigger the curiosity in the children. 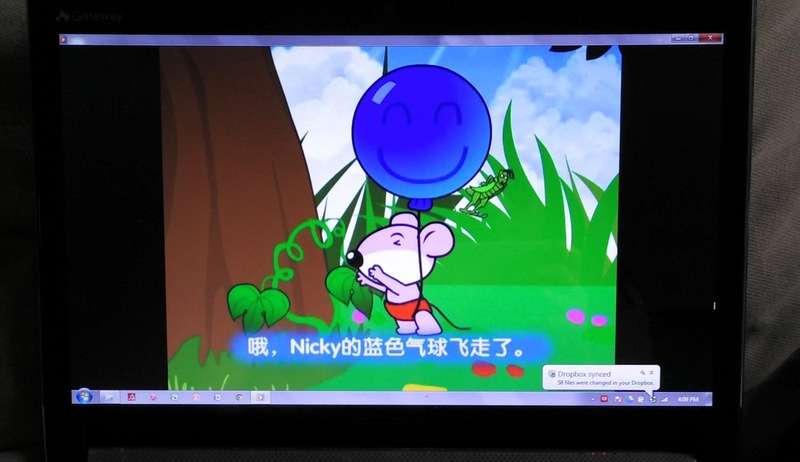 In addition to the text, Eltee Pen has extra information, songs and sound effects. There are also suggested investigative activities for the children to carry out hands-on experimentation. This provides an all-rounded learning experience – visual, audio and kinesthetic. In addition, the Children’s Atlas enhances their knowledge in Geography and different cultures. A tap of Eltee Pen on the icon would play the national anthem of the country, so interesting! The children learn new vocabulary using Children’s Dictionary. Not too worry if you are not sure how to pronounce certain words, as Eltee Pen would do a great job! Request for Free Presentation here.